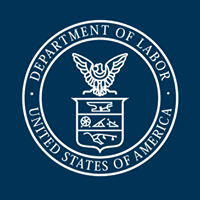 In early January, the Department of Labor (DOL) reissued 17 opinion letters that the Obama DOL had quashed in favor of issuing broadly applicable “Administrator’s Interpretations,” two of which have now been rescinded by the Trump DOL. This background may sound a bit convoluted, but the main point is that the new DOL under Secretary Alexander Acosta will again be answering inquiries by businesses with wage and hour questions. In addition, the 17 revived documents will now have weight in court under terms of the Portal-to-Portal Act regarding provisions of the Fair Labor Standards Act (FLSA). The Portal-to-Portal Act of 1947 amended the FLSA to provide an employer with an affirmative legal defense that protects it from liability when the employer takes a certain action in reliance upon any written regulation, ruling, or interpretation by the DOL and its Wage and Hour Division (WHD). Some of the topics of the revived letters include “Year-end non-discretionary bonus and section 7(e) [of the FLSA],” “Calculation of salary deductions and section 13(a)(1) salary basis,” “Salary deductions for full-day absences based on hours missed and section 13(a)(1) salary basis,” and so on. The topics can be quite specific in terms of both the situations in question and the relevant section of the FLSA.